Google lays out that the second-quarter profit rose 16 percent compared to the same period last year, however this result was far below market forecasts. This internet giant raked in profits of US $3.23 billion, up US $2.79 billion from a year ago. Earnings per share be US $9.56 dollars, far below Wall Street forecasts of US $10.78. The revenue rose 19 percent to US $14.11 billion, also well below the expectations of most analysts, while its stock price fell from US $1,000 to US $873,49. But the Chief Executive of Google, Larry Page remains optimistic. 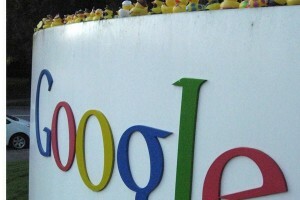 “Google enjoyed a great quarter with revenues of US $14 billion, up 19 percent year-on-year,” said Page. He said a shift from one screen to many screen and mobility give Google a incredible chance. “With more and more devices, more information and more online activities than previously, the potential to improve human life even much more,” said Page. Meanwhile Motorola Mobile revenue that has acquired by Google last year reached US $998 million, up US $870 million in the same period last year, according to AFP. Related to "Google Profit Rises 16 Percent"